Any chance of getting an invite to the full blog? Can I get an invite to the full blog? I would like an invite if possible. Hightower has always been my favorite blog to read. I would really appreciate the opportunity to continue to read about all the novel things coming to the supplement world. Keep up all the good work. I am also very interested an invite to view your full blog. If possible. I have been reading your work for sometime now and really enjoy it. Your knowledge is invaluable. I am the owner of a supplement store. Being that I am in the supplement industry I am always trying to further my knowledge on the wide array of ingredients that are being used in modern supplements. If there is any more info you need from me please ask. Thank you! Hello, I am a Pharmacy student and very interested in this topic. I would be really grateful if I could have an invite to view the full blog. In any case, I want to thank you for all the valuable information shared in this blog. Cheers! hey mate, great blog as always. 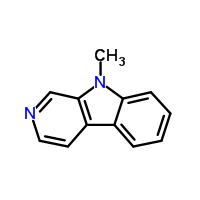 Any chance you could do a piece on Echinopsine and/or Echinopsidine? Can I please get an invite to your Blog? Fantastic stuff. I would really enjoy access to further articles. Thanks! I'd like an invite. Just want to increase my knowledge of different stimulantr, nootropics, and supplements in general. Anyway that I could get an invite to your blog. if this is still available, please invite me! Have learned so much from your blog!